Medical Receptionists, what’s your superpower? Medical Receptionists often wear many hats. You may be really great at one or two things in your office. You may be known for very specific strengths that set you apart from your colleagues. It is important to always understand the strengths of the people you work with. Having similar training and past work history does not guarantee that you all will excel in the same area. Having a diverse set of skills is helpful to the practice and to each other. You may handle busy phones lines very well. This task alone may fluster some of your coworkers. However,they may be great at managing an abundance of patients checking in at once. You may have people on your team who communicate more efficiently with your clinical staff than you do. It is important to understand each others strengths and appreciate when someone else’s expertise or contribution makes a positive difference in how your office runs on a daily basis. Teamwork works well you know why it matters. It is also just fine to compliment and thank your coworker and accept gratitude when it comes your way. Are you your own brand? Today we hear so much about branding and marketing and it usually relates to business not Medical Receptionists. If you think of yourself as your own brand you may be more easily able to stand out during the more difficult times at work. You will be more forth coming with solutions and suggestions. What do you think? What do you think of your work performance? Are you living up to the standards that you set for yourself. Have you been meeting your own expectations in regards to your conduct, organization, and communication with patients? Would you hire YOU? There really is no competition in healthcare, it is about how a collective team of people work together to create an environment that is professional, accepting, patient friendly, and offers a great level of quality to patients and clients. Focusing on your efforts doesn’t mean you are doing a disservice to anyone else, it just means that you recognize the importance of your role and are truly aware of the value of your contribution. If you were a brand, think about the qualities you would want your brand to have. Would you want your brand to be late to events, disorganized and rude? I doubt it. You would want your brand to be consistent and demonstrate passion for the industry. You would want for your brand to eventually be a leader in the industry. How do you create that? Your brand has to solve problems to be successful, your brand has to understand the needs of the customer. Thinking in these terms allows you to easily understand how you, as a brand, can positively or negatively effect your medical office. Use your strengths to encourage cohesiveness and learn from others who have a different dominant skill. You may always be the king or queen of fixing paper jams but that doesn’t mean you can’t improve your other clerical and customer service skill set over time. So tell us, what’s your superpower? For more from Medical Receptionist Network visit www.medicalreceptionistnetwork.com. Interested in Medical Receptionist Success Training Course for your office? 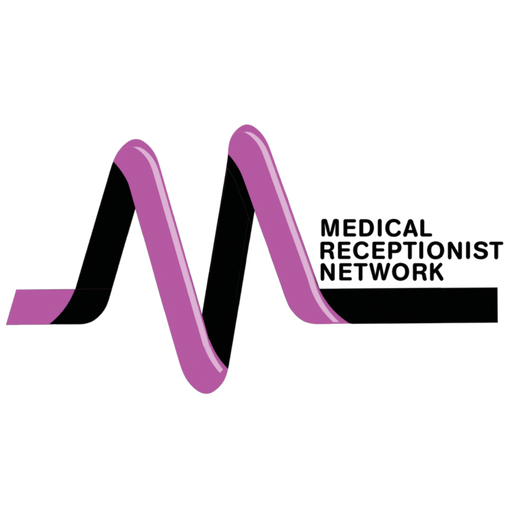 Visit our website or email info@medicalreceptionistnetwork.com. Have you ever walked into work excited to start the day and then within 15 minutes you feel completely defeated? Healthcare settings can be some of the most fulfilling yet most challenging places to work. Your duties and tasks may be your own, but you often rely on others to do their job for you to effectively do yours, thus the term “team effort”. Perhaps you are constantly waiting for orders to be entered so you can schedule an appointment. Maybe the appointment times are not long enough, and you encounter an overcrowded waiting room daily. Sometimes every call you answer requires a ton of time, which keeps you from helping those who have signed in. Patients are upset or not feeling well, and they are taking it out on you. These are all common to medical practices, not the best part of healthcare but a part you can’t always avoid. How do you handle these stressful times? Do you just keep moving, and addressing one issue at a time? Do you get upset to the point where you can no longer hide your dissatisfaction in the presence of patients/clients? Perhaps you start cutting corners to save time? Maybe you just check out mentally and complete your shift in such a robotic manner that nobody dares speak to you? We must always approach our work life with an open mind, and a solution-based approach. If your first thought when faced with a problem is “how can I resolve this?”. “What can I do to make this better?” Or “What way can I impact this scenario positively?” Then you are on the right track. Avoid initial responses that may add fuel to an already difficult situation. For instance, the patient may not always be right but that doesn’t mean it is your job to prove how wrong they may be. You do not have to tell someone why they are wrong or incorrect all the time. You can just provide the information that will resolve the situation. It may counteract the patient or client’s original thought, but you did it without adding hostility. People know when they are wrong, some will retract a statement or even apologize. However, others may just continue to do be combative, rude, or attempt to prove their point of view. The direction of the conversations at the front desk are up to you. You could change the direction and the outcome. Your responsibility is to make sure the patient has what they need, is provided accurate information, and receives stellar customer service while visiting your facility. What if the issue of the day does not concern patients at all, but behind the desk there is some unavoidable tension. On top of that, perhaps it has nothing to do with you! Now what, how can you be the problem solver among your colleagues? You probably won’t be. Although, if you remain neutral, proceed as usual, you will not add to whatever conflict has taken place. If you keep your mood even and your actions professional your energy alone can improve the situation. Others may find themselves feeling disappointed in a coworker or having had a professional disagreement. If you do not instigate or seek out information about the situation it will generally resolve itself faster. When more people get involved in a matter it is equivalent to adding fuel to the fire. Whether you have struggles with your patients or your coworkers there are always ways to keep the conversation from getting out of control. Remember “You are the bridge” and your role in your organization is valuable. Customer service is #1 and it starts with you. Visit www.medicalreceptionistnetwork.com and join our community on Facebook. The Medical Receptionist Handbook to Success is available on Amazon. Medical Receptionists often have this natural ability to remain calm, professional, and supportive of their patients’ needs. What if you find those abilities to be more challenging. Basically, you struggle when patients become upset or dissatisfied, or perhaps you become very defensive or taut during interactions with your clientele. There is no perfect way to handle certain situations that arise within your office and at the front desk but you can make a difference with your response, reaction, body language and overall demeanor. One of the most important pieces of advice is to not take it personally. it is often hard to separate yourself and your feelings from your job responsibilities. When you have a passion for what you do, you may find it very unnerving when people are not happy with the service and address you directly about it. On the other hand, if you are not passionate about what you do but work very hard to complete your responsibilities you may be more likely to find yourself on the defense. How can you keep calm during challenging situations? Listen-Before you make any assumptions. Giving your undivided attention during a patient interaction can be very indicative of the potential outcome. Take Notes-This generally applies if the patient has a complaint or an issue that you must share with another colleague such as a manager or physician. You want to make sure they have enough information to take corrective actions. It also improves the communication and reduces the chance of the patient having to repeat the entire situation again. Lastly, it allows your management or provider the ability to resolve any concerns and be prepared in the event they have to speak directly with the patient. Express Understanding-Always let your clients know that you understand. You may not “know how they feel” but you can understand their point, their concern, or their grievance. Ask how you may help them have a better experience. Let them know that you will have the situation reviewed by management if needed. Get Assistance-If you have been working in an office long enough you learn when to recognize a patient who is being abusive or rude. You know what acceptable behavior looks like for your practice setting. If you feel threatened or unable to positively respond to a patient it is your responsibility to request help or a witness. Have management step in when needed. Do not provoke an unhappy patient. Remain professional and calm. You will have more success when you are thinking clearly. Focus on Solutions-Whenever you encounter a problem in the office you should immediately consider ways to solve it. Instead of being engulfed with the negative aspects of the issue or the attitude of parties involved, do your best to offer ways to mitigate, resolve, or be supportive in the situation. This works well with patients and coworkers. When a fire starts you try to put it out, not spread it. It only takes one person to be the change. If you can deal with adverse situations without taking things personal you will have a much more fulfilling career. Most interactions within the medical office are quite cordial, professional, and without many complications. It is when something does take a turn for the worst or becomes an unusual occurrence that you must be prepared to handle what comes in your direction. “You are the Bridge” and you have the opportunity and deserve to make the best of every day. Today ends National Nurses Week 2018. While Medical Receptionists are the bridge of communication, nurses are the bridge to direct patient care. Nurses have roles in almost any healthcare setting you can think of. Direct patient care, clinical management, case management, directors, and even utilization management just to name a few. Nurses provide required clinical support to medical doctors by executing care plans, reviewing and managing patient care needs and test results. My mom is a nurse, a damn good nurse! I remember growing up and her colleagues telling me how great my mom was to work with, I saw her letters of acknowledgment from patients and accolades from managers and department heads. As a child I spent a lot of time with my mom and her nurse friends. They were some of the most dedicated women and men you could meet. They cared about their patients, they often worked long hours to get he job done right and were proud of their career choice. Having also worked along side some awesome nurses I found as a Medical Receptionist your relationship with the nursing staff of your organization is vital. Having open communication with the nurses is important and allows you to be a better connection between the clinical staff and patients. Nurses are often the first person you reach out to for a clinical questions or an in office emergency. Collaboration between the front desk and the nursing staff can be the difference between a well oiled machine and a broke down train. When departments work together for the greater good of the organization you will see positive results in your organization externally through the patients and internally. Teamwork in full effect includes everyone in the organization. When you don’t work closely with other departments there can sometimes be a distance that can cause friction, assumptions, and tension. There are ways to bridge the gap between clinical and clerical staff, between billing departments and front desk, or even between physicians and front desk. Knowing who you need to refer to in any given situation is key. When you do need to go to those that you may not normally communicate with, come prepared. Introduce yourself if you don’t know the department member. This is not always an issue in smaller practices but within larger groups or practices that use temporary staff or have employees who work in multiple offices you run into the issue of not getting to know everyone. The more prepared your are when approaching another colleague about a patient matter and vice versa the smoother interactions will be. Patient needs will be met. Many offices will notify staff of a new employee and their role prior to start. If this doesn’t happen perhaps you can request a short meeting to discuss how your role and their role work together. 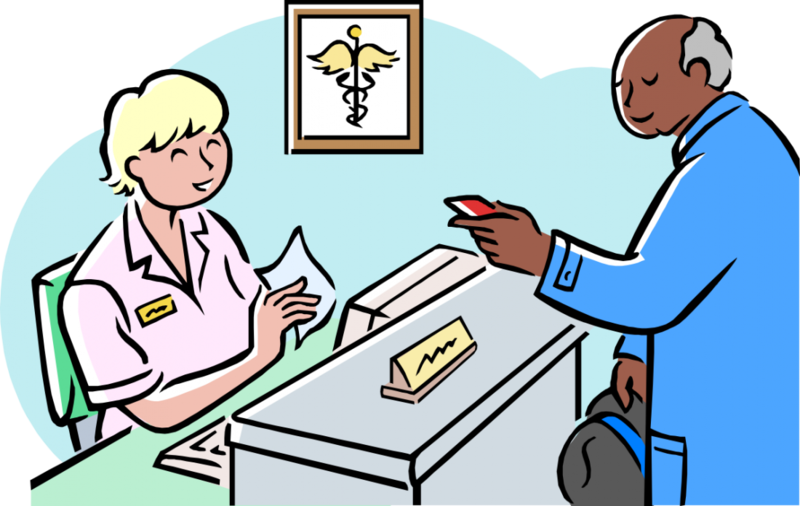 That is a way to honor continuity of care and prepare the other employee in what to expect in the position as it refers to the front desk. Your feedback is important to your employer and management. You bare witness to the on-goings of your office, you know when things are working and when they need to be changed. Always use proper communication channels to make requests and share ideas. Medical Receptionists and Nurses working together can move mountains in some cases. Keep up the fantastic job and encourage teamwork within your practice. Medical Receptionist Handbook to Success is available on Amazon and Barnes and Noble. Keeping the front desk organized, fully stocked, fully functioning, and visually appealing is not always easy on the busiest of days. If you have ever worked in a busy medical office you understand the craziness that can become your space. Some people can thrive with a desk piled high with papers, messages, and other miscellaneous items. It never made me feel good to work under those conditions. I had to find ways to minimize a messy atmosphere. When your desk is clear you reduce the chance of losing important information or adding information into the wrong patient chart. You can be easily distracted by everything else that you need to do and lose focus of the person in front of you. Perhaps organizing your space to make it more suitable to your needs will resolve some of your "desk mess". Here are some simple ways to improve front desk function. Don't be afraid to move things around. You often have a small space to work with or use of a shared space, get everyone on board and move equipment and supplies where they will be most beneficial to your daily activities. Label everything. Labeling can be time consuming, but if you do it once you will only need to make changes once in a while. Why do we want to label things? This is a simple system for waiting room and office supplies, and frequently used documents. You can place labels inside of cabinets where certain supplies are held. You never have to guess what is missing or what you might need. Label document folders so that if someone uses the last, you can easily identify and make new copies. Make a change to the process. Perhaps you have patients walk in, sign in, and then stand and wait...and wait...and wait. Perhaps this is the just the process of your office. Does it have to be? Will you and the patient benefit if they were instructed to just have a seat for 2 minutes while you finish with the other person who you are assisting? Work with your management and other team members and see if you can change the process to better meet the needs of your practice. Sometimes changing where and how people check in and out can also provide a better flow for the office. Give instructions. Patients and clients need to know what to do next and where to go. If you are clear the first time, you can reduce the amount of people coming up to your desk and asking questions. Are the restroom signs clearly visible? When patients complete there paperwork are they instructed to have a seat or do they end up asking you if they should go sit down? Using some or all of these ideas can help increase the efficiency of your front desk and increase productivity. An organized environment makes for a much more pleasant work experience. What ideas have worked in your office or facility? Medical Receptionists are usually the only people who see virtually every person who walks into their office. If you have multiple providers, multiple medical assistants, and other staff they are most likely only going to see part of the population that enters the building that day. The receptionist not only knows the patients, they know the mail carrier, the supply delivery people, the cleaning crew, vendors and anyone else who enters the building regularly. The receptionist is expected to know if someone walked out of the building, how long ago, and if they checked out. The receptionist is expected to know the names of all their colleagues no matter how large of a group or organization they are a part of. They are not just the receptionist, they are sometimes the common denominator and the person who brings all departments together in one way or another. As a Medical Receptionist you can witness events that are sensitive in nature. Receptionists are there when people find out their insurance is no longer valid after a loss of a job or a missed COBRA payment. Receptionists are there when people arrive in high spirits and walk away shattered because of the news or diagnosis they have been given. Receptionists are there to calm irate or concerned patients in the waiting room. The receptionist is there when patients can’t afford to pay there deductible. Receptionists are there when anyone in the office requires their assistance. Receptionists keep the office organized and also provide tons of information on a daily basis. They can’t switch roles with a doctor, but I guarantee most doctors would not want to switch roles with the receptionist. Medical Receptionists have the type of role that is very expansive in nature. The responsibilities of the role can change and the expectation remains the same…She/he can do it all. Medical Receptionists provide support to management and practitioners and are well in-tune with the needs of their patient population. They are the bridge that connects people within the healthcare center, they are not “just the receptionist” they are a contributing factor in our vital healthcare system.